Goodies Wastewater Supplies only sells the four most reliable brands of linear septic air pumps sourced from around the world. Of those four brands we only sell the models that have already proven their reliability in the extreme Australian conditions over an extended time period. The brands sold are Secho, Thomas / Yasunaga, Techno Takatsuki Hiblow and Nitto Medo. 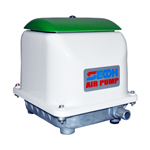 Of over 138,000 domestic aerated wastewater sewage treatment plants installed in Australia over 95% of them have one of these three brands of air pumps. 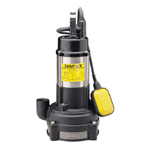 Whilst the Australian market has been flooded with supposedly cheap air pumps it has been found that they do not last and the long term cost of ownership is actually a lot higher than when purchasing a quality and proven air pump.